You are not logged in. [Log In] Mt Whitney Zone » Forums » » The Chat Room » All the best, K-dub! #22081 - 03/19/12 10:26 AM All the best, K-dub! Five years ago, Kurt simply told me, "I think you'd do great in Bishop!" His was the last opinion I sought before moving to this small town in the rain shadow of grand mountains. I never regretted taking his sage advice. 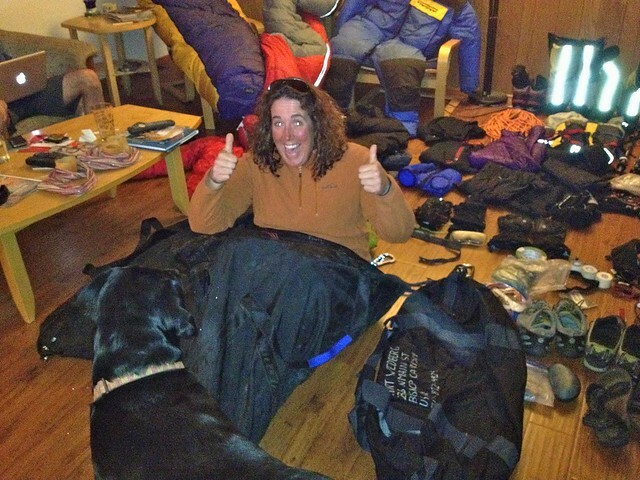 And now he is almost done packing for another grand adventure to the roof of the world. Be safe up there, my friend. I can't wait for the next happy hour to swap stories. I saw his calendar was blocked off for Everest. Third time. Awesome. Do you know how many people are going with him? I think he is missing his sunblock! Best of everything to you, Kurt! If you need two really good sherpas, my wife and I are available. Best of luck Kurt - can't wait to see the photos! Maybe some moose antlers for the summit? That would make one helluva pic . . . I love reading your posts and seeing your photos. You have such amazing energy and spontaneity. I'm sure you are a wonderful asset to Bishop. You bring such a positively wonderful view of the world in the Sierra Nevada and surrounding mountain areas of this beautiful State of California. You're a wonderful Ambassador for our great State. When I read your post about Kurt's desire to climb Mt. Everest I got goose bumps. I'm always awe-struck by people who have the motivation to climb Mt. Everest. I hope you'll do a day-by-day report as Kurt climbs to the summit, if it's at all possible to get updates from him daily. I've read Cindy Abbott's posts and see her presentation on her climb and I've seen programs on television showing climbers and how they have to acclimate for a long time before they summit, but I've never actually met someone before they actually climbed Mt. Everest. I believe I've met Kurt, at least I think I met him or saw him at REI in Tustin, CA for Cindy's presentation of her climb. Maybe I've just read many posts by Kurt about his Mt. Baldy climbs to the point that I feel I know him or have met him. I'm so excited for him. I wish him a successful summit and a safe return. SO, WHEN DOES THE BIG CLIMB START? Lynn, I believe Kurt is leaving Saturday, and I know he'll be checking in regularly (or he has with his past climbs) with his office. I would check the website for Sierra Mountaineering, Intl. regularly for updates, I would think. I will probably see him one more time before he leaves this weekend, so I'll see if he's amenable to cross-posting information here. My very, very best wishes for Kurt. Secretary General of the United Nations from 1953 to 1961. Wow, Laura, thank you for the link in your above post to Kurt Weburg's website showing his calendar and all the climbs and hikes he leads for groups. I'll bet he's an amazing leader. I've taken trips with leaders on a much smaller scale but no matter the scale the trips were so wonderful because the guides had so much knowledge they shared with the hikers about nearly everything we saw and touched on the trail. I'm going to have to try to make it to one of Kurt's presentations.....I'm putting it on my bucket list now. Amazing, he's going to be gone for two months at Mt. Everest, that's a long time. I'll watch his website for updates. P.S. Forgive me if I got your name wrong, I do know it's Moose Tracks. Re: I would check the website for Sierra Mountaineering, Intl. regularly for updates, I would think. I've been periodically checking the website you attached in your post above to see if Kurt has posted anything about his Mt. Everest trip. I was so happy and excited tonight to find Kurt has started a Trip Report with photos. How exciting for him, Mt. Everest again. He looks so happy in the photos. I encourage all Whitney Zone members to check out the link to Kurt's website which Moose Tracks posted. His Trip Report is easy to find, it's on the left hand side of the home page and it's called (of all things) TRIP JOURNAL.! Everest Team Moving Closer to Base Camp! 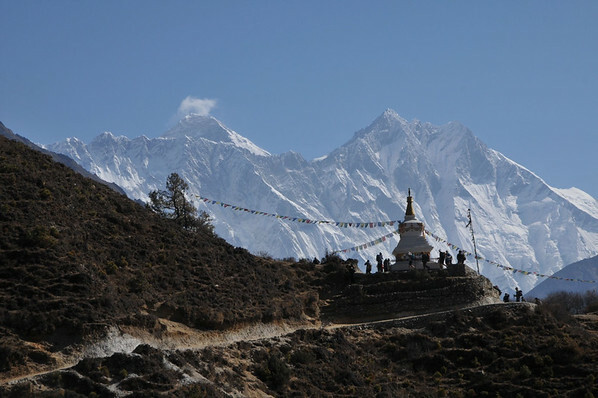 Here's the link: Everest Team Reaches Base Camp! More from Everest Base Camp! Kurt udpated his journal today. Got to go, need to check it out. Can you post the update again. Thanks. The link above and this one will always go to the most recent information and pictures. Fred climbing a ladder spanning an overhanging ice block in the Khumbu Icefall. OH WOW, CHECK OUT THE NEW KURT & FRED EVEREST PHOTOS, THEY'RE FANTASTIC ! ! ! 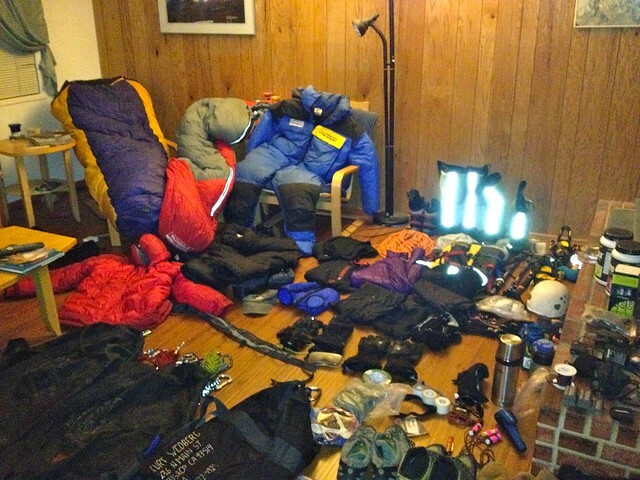 Hey, don't forget to comment on Kurt & Fred's journal, let them know we're rooting for them to reach the summit. Spectacular! Thanks for the reminder, Lynn-a-roo. April 19: Fred crossing a ladder spanning a large crevasse in the upper Khumbu Icefall en route to Camp 1. I wonder what Kurt is using to transmit the images. Pretty impressive to send out pictures on such an expedition. Generated in 1.049 seconds in which 1.039 seconds were spent on a total of 15 queries. Zlib compression disabled.